Obituary for Carol J. 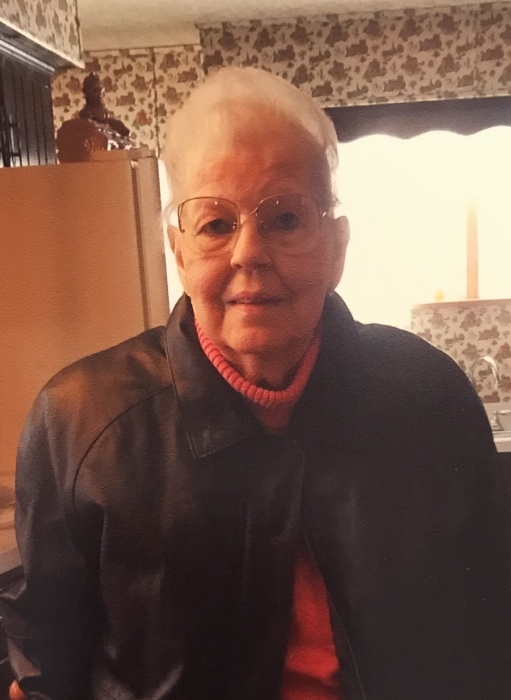 (Porter) Hoover | Price Funeral Service, Inc.
Carol J. Hoover, 84, of Meyersdale passed away January 29, 2019 at In Touch Hospice House, Somerset. Born October 3, 1934 in Cumberland, MD, the daughter of Ralph and Elizabeth (Sperry) Porter. Preceded in death by her parents; beloved husband of 63 years, L. Donald Hoover who passed away on December 6, 2018; and brother: Gene Porter. Survived by her sons: Brian and friend Kim Haines, and Randy; grandchildren: Mindy, Ashley (Justin) Morris, Brandon, and Tyler (Mandie); several great grandchildren, nieces, and nephews. Also survived by her faithful companion, Coco. Carol graduated from Allegany High School, in Cumberland, Md., a few years later she married Don. After working at the Horchner Dairy Bar/Restaurant, she became a fulltime housewife and mom. Carol enjoyed doing crossword puzzles and looked forward to having her hair done by close friend Ilene Wagner. She was a member of Amity United Church of Christ. God blessed us with a mom who always put the family needs before her own. Her love and unselfish devotion will be sadly missed. For every day she was with us, we are forever grateful. Friends will be received 2 to 4 and 6 to 8 p.m. Friday at Price Funeral Service, Meyersdale, where service will be conducted at 11 a.m. Saturday with Rev. Connie Garlick officiating. Interment Meyersdale Area Union Cemetery.